Quality vending machines are an essential part of any business. You want your employees and customers to be able to enjoy snacks and drinks when they want to, without having to worry about your machines breaking down on you. Fortunately, Cool Refreshments is here to serve as your vending machine company of choice. We're now affiliated with Poland Spring Coffee and Water Service, to fulfill all of your office needs, including refrigerators and microwaves. 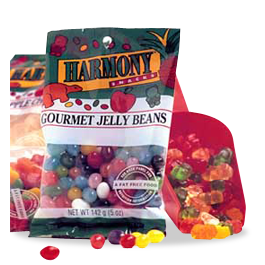 We carry an extensive line of vending machines and products. Our prompt, courteous service includes regular stocking and rotating of products, maintenance of all machines, and 7-day service on breakdowns. As a full-service vending company, have built a solid reputation as a leading operator of all types of vending equipment in over 60 towns and cities throughout New York and New Jersey. We distribute vending and coffee machines, water coolers, paper products, and janitorial supplies. Get in touch with us today to learn more; we'll swing by your business and discuss what machines are best for your needs. Once you've decided on a setup, we'll take care of the rest. 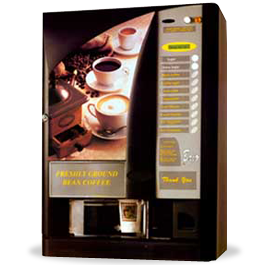 We offer advanced hot drink vending machines featuring beverages such as coffee and tea. 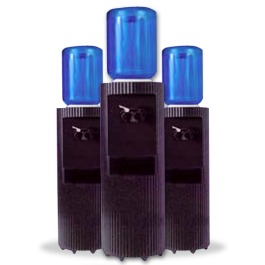 Our company is your source for Pure1 water coolers, featuring effective filtration technology. We provide vending machines featuring snacks such as cookies, candy, and pastries. Rely on us when you need vending machines and water coolers. Excellent customer service is always personal, attentive, and prompt. Here at Cool Refreshments of Bayonne, New Jersey, we deliver on all of those fronts. As your vending distributor and machine company, we deliver 24/7 services tailored to your particular needs. Expect us to bring a personal touch to every job we take on, paying close attention to your specific requests. When you call us, you will always speak to a live person. Our approach to service is built around the idea that our customers deserve nothing less than the best, most attentive services available. Let us put our 27 years of experience to work for you starting today. While we do focus on serving commercial companies, home services are available upon request.